Perween Rehman (January 22,1957- March 13,2013) was director of the OPP-RTI (Orangi Pilot Project Research and Training Institute), social worker, "messiah for the poor", respected teacher, beloved colleague, friend, daughter, sister, aunt - was assassinated on March 13, 2013 by armed assailants in Karachi. At the time of her murder in 2013. She had occupied that position since 1988 when the institute was established, and had been involved with OPP since 1983, just a year after she graduated with a professional degree in architecture from the Dawood College of Engineering and Technology. She was a leading activist who spent a major part of her life to highlight and resolve issues of the poor in her capacity as director of RTI as well as personally. 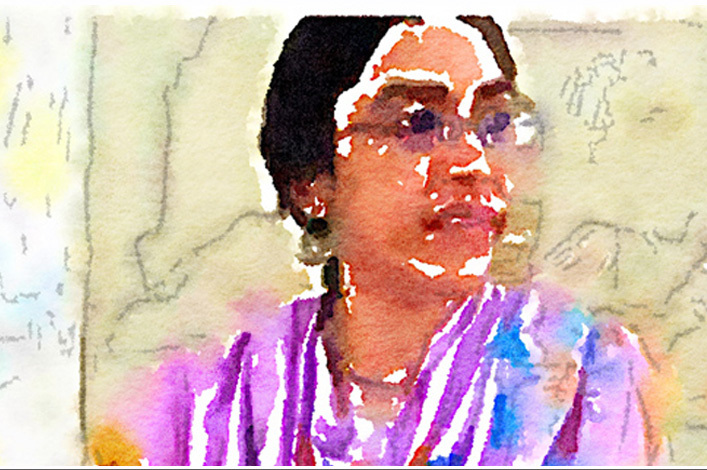 On March 13, 2013, Perween Rahman was murdered after being shot four times by gunmen who opened fire on her vehicle as she was headed home from work. She was 54. Her legacy lives on and cannot be silenced.